And these are my photos taken while going to the shopping mall after the classes. А это мои фото во время поездки в торговый центр после занятий. u look super nice ! i absolutely love the wedge sneaker trend.. you rock them!! 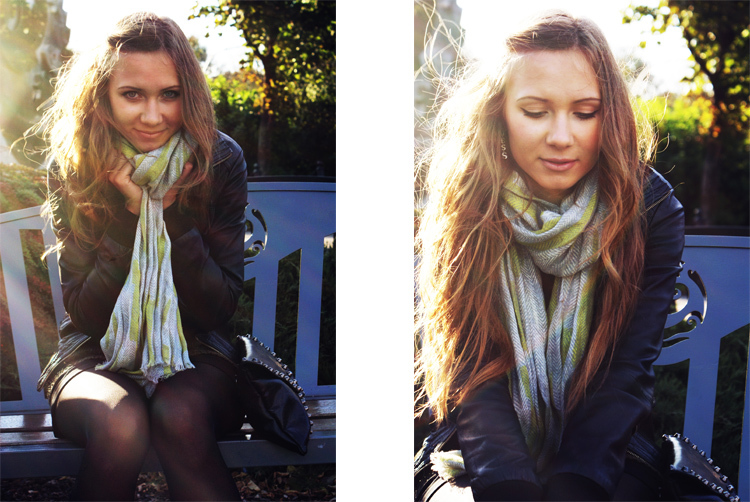 Great scarf, super pretty hair! And congrats on the changes that are coming. You look beautiful in the wedge sneakers Anna. I don't know why but there's something innocent and beautiful about you in this outfit, it's a great look, I hope things are well. Beautiful and charming! I love your wedge sneakers so much, I also want to get a new pair at http://www.upere.com/upere-wedge-sneakers-c-1.html.